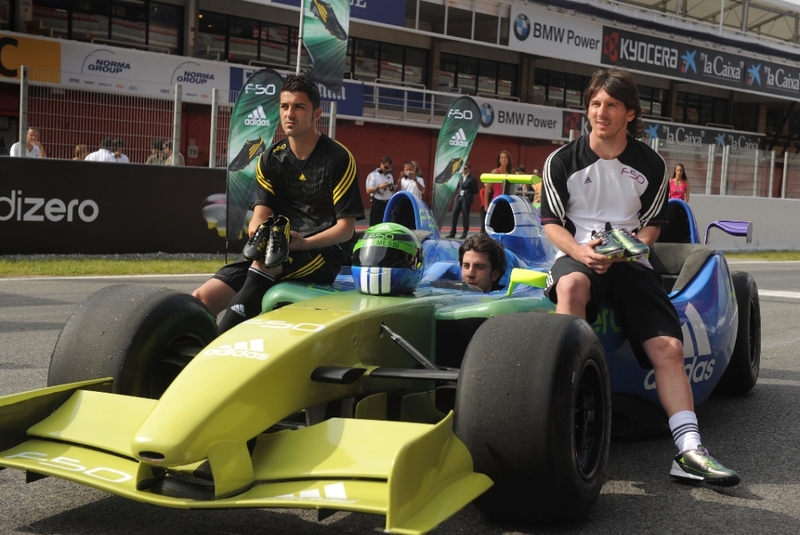 Two weeks after the release of the adidas F50 adiZero at a speed themed event in Barcelona’s Circuit de Catalunya, it was announced that Spanish star David Villa and Lionel Messi would be teammates at Barcelona next season. Back on May 11th, both players posed for pictures in front of photographers who were keen to get snaps of the technologically advanced Adidas F50 adiZero soccer cleat. Check out some of the pics from the event below, I have a feeling that there might have been conversation between the pair about playing together next season! Needless to say, Adidas are keen to demonstrate the research and technology that has gone into the range in order to make it the lightest soccer cleat on the market. With Nike upping the release of their speed boot, the Superfly II, Adidas are ensuring they don’t lose any ground to their closest rival ahead of this summers World Cup finals. Who will be wearing the F50 adiZero? The F50 adiZero will be worn by players during the 2010 FIFA World Cup. The Chameleon Purple colorway will be worn exclusively by Lionel Messi, with Steven Pienaar (South Africa), Jozy Altidore (U.S.A), Shunsake Nakamura (Japan), Salomon Kalou (Ivory Coast), Arjen Robben (Holland) and Lukas Podolski (Germany) wearing the Sun/Black colorway. David Villa (Spain), Samir Nasri (France), Jermain Defoe (England) and Johan Vonlanthen (Switzerland) wearing the Black/Sun version. Check out our review of the F50 adiZero in Leather and in Synthetic. I cannot wait for the review, I tried on the Nike Mercurial Vapor Super Fly II or III, I liked it, I have small to medium sized feet. I loved the snugged fit type cleat. I am anxiously waiting for the review on the fitting on these boots. I don't want to switch wearing Nike though. Tried different brands, but haven't found the "it" boot. On my currently list: Nike Mercurial Vapor Super Fly I and II, Puma V1.10 (these two fit snugly, perfect for my feet), now waiting for these babies, Adidas F50 AdiZero. i bought a pair of the f50 the once that Messi wears, and god they are light, i mean i felt so free when i was running down with ball, like there was no one going to stop me, they feel good, and fit great, and they are better compare to other shoes i used to wear..
hello, first of all wanted to say that your reviews come in real handy. Since the Adizeros came out i've wondering if they're like f50i's, can you take off the cleats and adjust them to type of surface you're gonna play or no. they are the best! and this shoe is simply amazing! this is the perfect shoe! 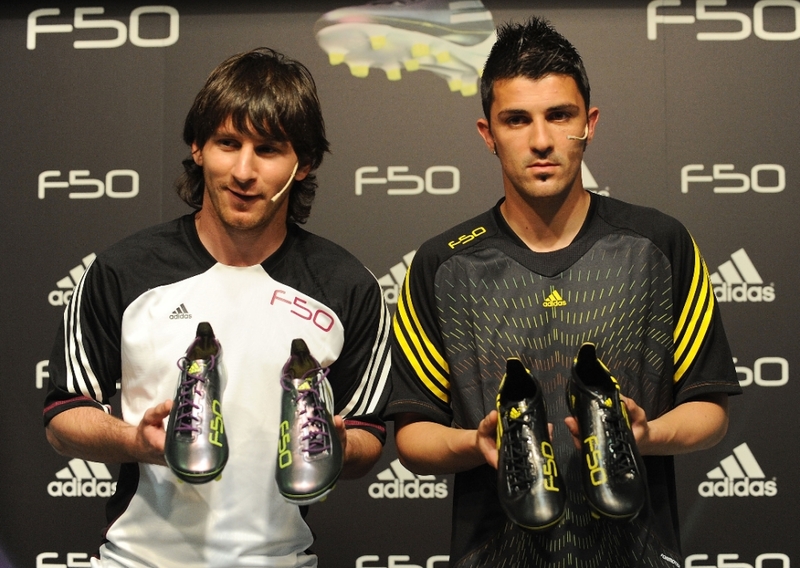 Villa and Messi are the best and good shoes as well! i love u lionel andres messi .